Get maximum enjoyment from your ride by fitting motorcycle accessories that add extra levels of protection for you and your bike. All Triumph accessories are designed alongside the bikes themselves, and follow the same rigorous levels of engineering and testing. 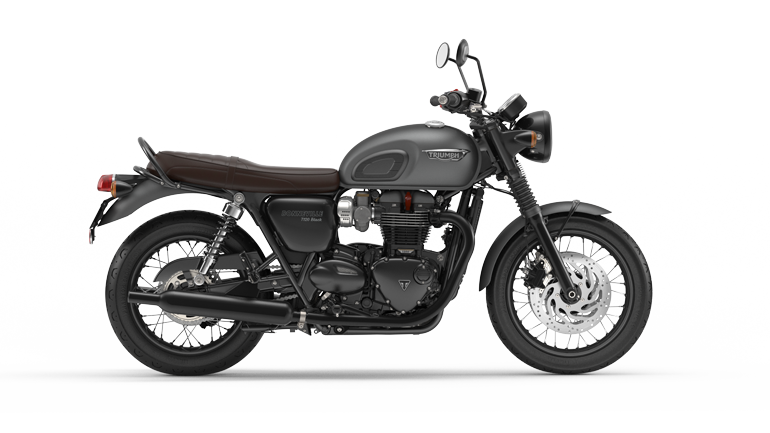 This way, you can be sure that personalising your bike with Triumph accessories is the very best way of adding to your bike’s performance, style, or capability to suit your own riding needs. For the added peace of mind it brings, adding extra security to your motorcycle can be a good investment. These security devices are ideal accessory additions for all Triumph motorcycles. Among the most secure methods of anti-theft, simply fit the U-lock through wheel spokes and attach to an external anchor point to fix your bike in place until you return. Install Triumph-branded electronic security and enjoy all the benefits that come from having the very latest Thatcham-approved combined alarm and immobiliser system. Added protection against whatever the ground throws up at you, a sump guard is a heavy-duty plate-metal shield securely installed to provide an even greater underbody defence for that part of your motorcycle in which your engine oil collects. Fork protectors are easy to fit and provide an added level of toughened protection for the front forks if your bike were to fall or drop to one side. An extra level of comfort while riding can be gained by redirecting the wind from around your hands with durable moulded nylon hand guards. Triumph hand guards are wind tunnel tested to benefit from a significant reduction in wind resistance. Perfect for off-road adventures (and not usually for use on-road), a durable headlight protector will keep your headlights free from dirt you encounter during your off-roading, leaving them in perfect working order for the ride home. A pair of hard-wearing Triumph-branded adhesive rubber pads fitted to the sides of your motorbike’s tank provides a comforting level of extra grip during your ride. An extra layer of defence against everyday scuffs and scratches, a Triumph-branded rubber tank pad is adhesive and durable, fits perfectly, and is an affordable extra protective style accessory. Added security and protection for your perfect ride.